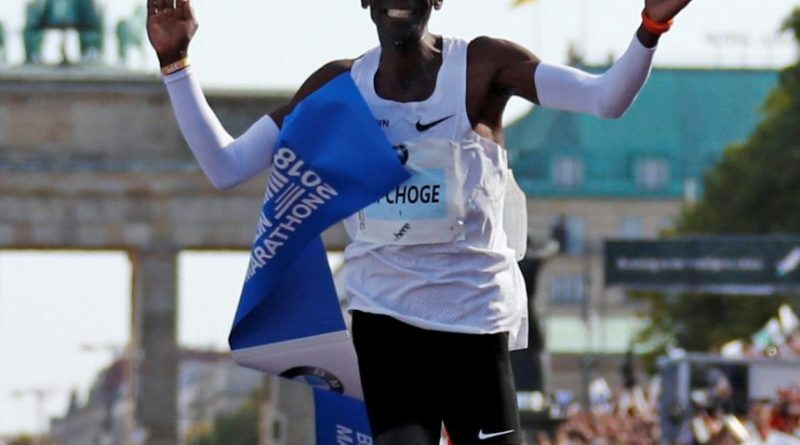 Olympic marathon champion Eliud Kipchoge set a new world record at the Berlin Marathon on Sunday, shaving more than a minute of the previous best with a dazzling run, to land the one major running accomplishment that had eluded him. The 33-year-old, widely seen as the greatest marathon runner of the modern era, ran a time of time of 2:01:40 on a sunny and warm autumn day along the flat inner-city course. President Uhuru Kenyatta, Deputy President William Ruto and NASA leader Raila Odinga led Kenyans in pouring congratulations messages to champions Eliud Kipchoge and Gladys Cherono for winning the 2018 Berlin Marathon on Sunday. Eliud Kipchoge has become the greatest marathoner ever by winning his third Berlin Marathon and setting a new world record of 2:01:40. Amos Kipruto finished second in 2:06:22, with former world record holder Wilson Kipsang third in 2:06:47. Gladys Cherono retained her Berlin Marathon women’s race recording of 2.18:11. She finished ahead of Ethiopia’s Aga Ruti (2:18.35), with compatriot Tirunesh Dibaba placed third in 2:18.56.